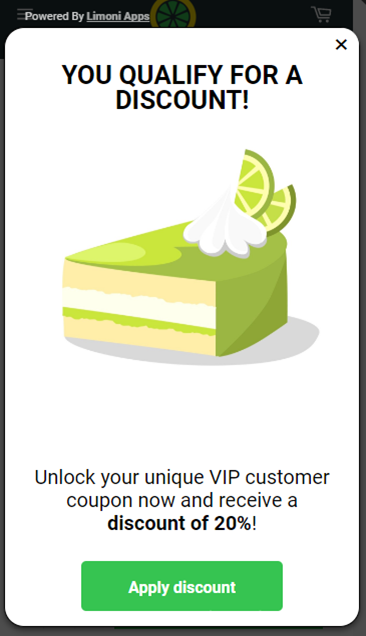 Discount Ninja allows you to create beautiful popups out of the box. The popup draws the attention of the visitor and allows you to communicate your offer to them. The title, message and button labels can all be modified to ensure the wording is in line with your offer. Additionally you can change the color and style of everything in the popup so you can match the style of your store. The popups were built "mobile first". That is to say: the design was built for use on mobile phones, because a large percentage of your traffic will come through mobile. Customizing the look and feel of your popup is a breeze. Click here to discover all the options available.